Administrative Sciences (ISSN 2076-3387) is an international, peer-reviewed, open access journal (free for readers), which publishes original theoretical and empirical work on organization studies. Administrative Sciences aims to advance and communicate knowledge concerning management theory and practice both in public administration and in profit organizations; it encourages submissions that build on interdisciplinary research in related fields, such as business, economics, sociology, physiology, communication theory or artificial intelligence and their implications on management, organizations and the society. Administrative Sciences aims to provide a rapid refereeing and editorial processes, following standard publication practices. Administrative Sciences publishes regular research articles, reviews and short notes. There is no restriction on the length of the papers as we encourage researchers to publish their theoretical and empirical results in as much detail as possible. For experimental papers, full experimental details must be provided so that the results can be reproduced. Additionally, electronic files or software regarding the full details of the calculations, experimental procedure, etc., can be deposited along with the publication as “Supplementary Material”. 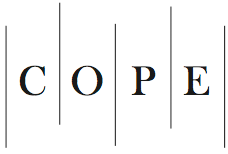 Administrative Sciences is a member of the Committee on Publication Ethics (COPE). MDPI takes the responsibility to enforce a rigorous peer-review together with strict ethical policies and standards to ensure to add high quality scientific works to the field of scholarly publication. Unfortunately, cases of plagiarism, data falsification, inappropriate authorship credit, and the like, do arise. MDPI takes such publishing ethics issues very seriously and our editors are trained to proceed in such cases with a zero tolerance policy. To verify the originality of content submitted to our journals, we use iThenticate to check submissions against previous publications. MDPI works with Publons to provide reviewers with credit for their work.